Is this not the happiest kitchen? It belongs to Nicole over on The House Diaries. 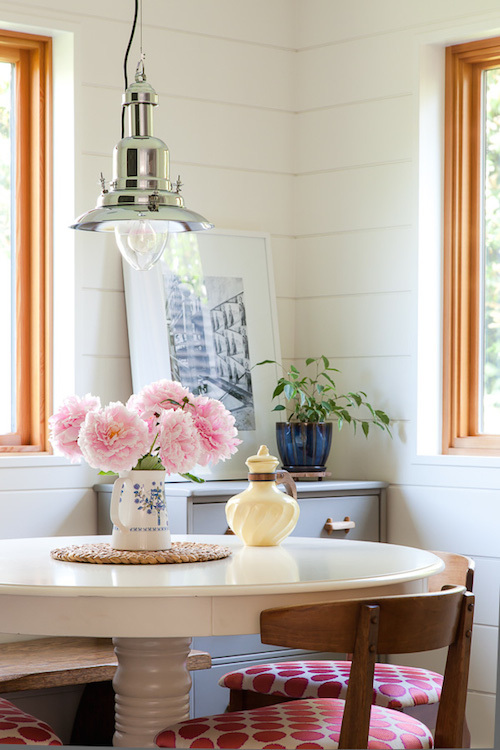 A little country, a little scandinavian and a bit of modern thrown in make this one charming family kitchen. And it's a galley kitchen to boot! Even Nicole admits that she wouldn't have imagined her ideal kitchen to be "the much-maligned galley." 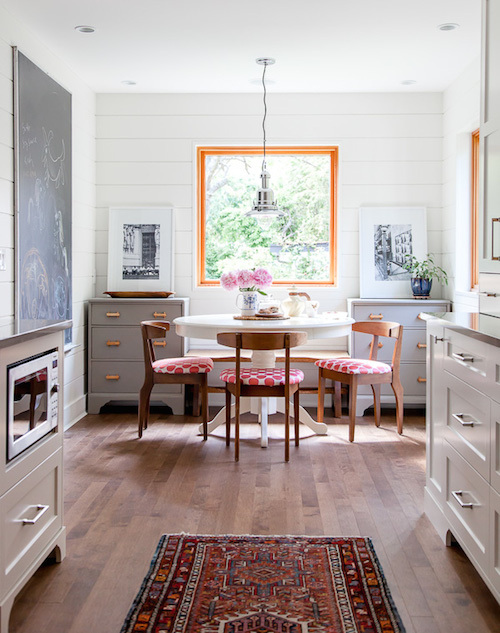 I love the use of chests of drawers on either side of the dining table, a genius addition of storage without sacrificing the light, airy breakfast nook! 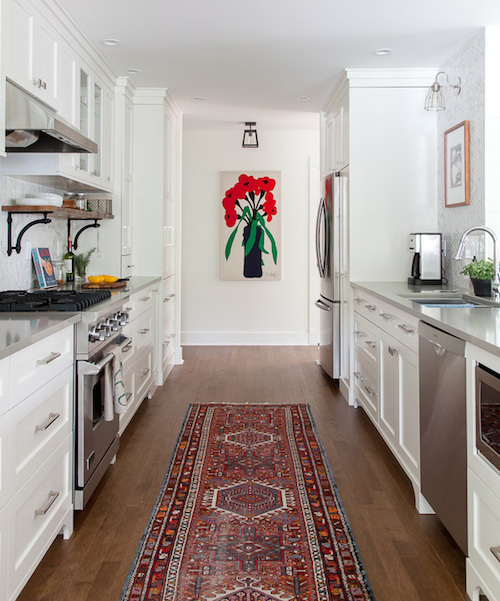 Check out Nicole's blog for more detail shots of this lovely kitchen as well as posts about her whole home renovation. 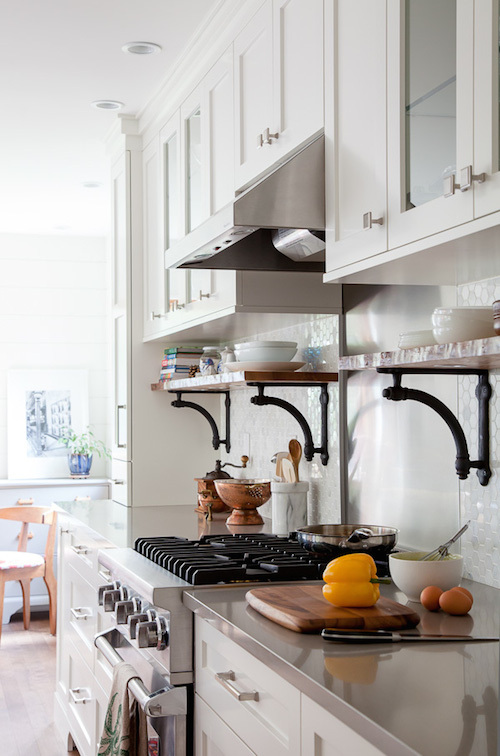 Oh my gosh can I just move into that kitchen?! How beautiful and simply perfect! I love love love the contrasting trim on the windows to the white walls..small details like that always make the biggest difference. Wow, what a beautiful space.